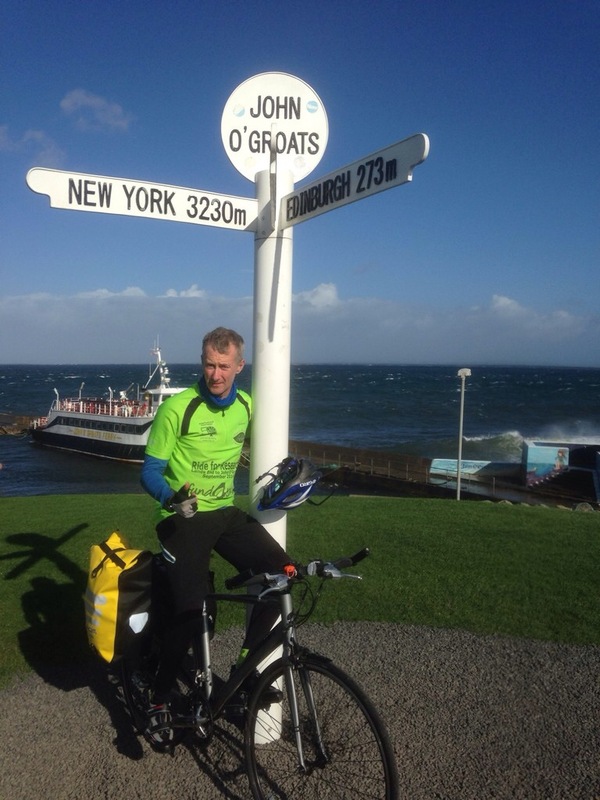 The final account from trustee Russell Ball on his Lands End to John O’Groats profile-boosting and fund-raising ride in aid of Fund4Trees. Read the previous account. Sunday (21st Sept) was a quiet flat route from Gretna on the A75/6 to Dumfries and Kilmarnock. It was good to have a rest from the constant throng of HGVs: many passing very close to my right shoulder! Pressing on with a 117 mile ride found me in Paisley. Near on rabid with hunger I stumbled into the local Ben & Jerrys (not much else around) but unfortunately with gas off in the kitchen all they could offer was a bowl of soup……. KFC happy meal then! Next day the first bike-ride-fright was mistakenly taking the Clyde tunnel in Glasgow. The dimly light descent into the tunnel’s bowel was like entering Hedes. There was no space to make mistakes in this claustrophobic tunnel but just cycle like hell to get out alive at the other end. Blood pressure returned to normal passing Dumbarton on the A82 along the side of Loch Lomond. Beautiful. Had a result with Crianlarich overnight stay in the form of a free night at the Best Western as long as I had a meal. At the next local school (Crianlarich Primary) tree planting a seven-year old pupil even knew the ‘P’ word! Bless how informed these youngsters are. By now I was beginning to feel pumped feeling the finish line was in sight. But the challenge of the Highlands awaited. 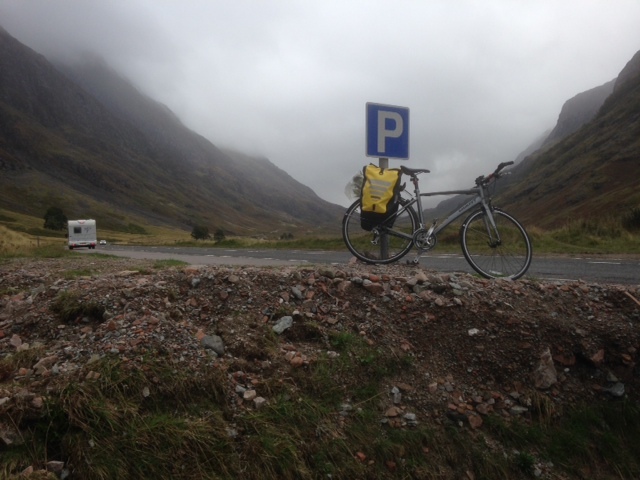 A thigh pumping 2.5 mile ride up on to the windswept Rannoch Moor took me in sight Glencoe. ‘Twas a grey drizzly moody day and I felt like a mere spec in this isolated mountainous landscape. At Fort William alas Ben Nevis was heavily cloaked in low cloud. Cold and a little damp I arrived in Fort Augustus: at the southern tip of Loch Ness. Next day the tree planting at Kilchuimen School went well with a great group foto under their tree thought poster. Another tailwind along the Loch sped me to Inverness where a copper beech was planted with the head (Convener) of the Highland Council: Cllr Jimmy Gray. Many thanks to Robert Patton and team at Inverness Council for organising this. Just north of Inverness the A9 headed north into the Sutherlands another beautiful landscape with rolling heather covered hills on one side and the expansive North Sea (with numerous oil-rigs) on the other. Second bike-ride-fright was free-wheeling at 40mph down into the fishing village of Brora. If falling off the bike and skidding along the bridge hadn’t killed me then the 50ft drop off the bridge would have! 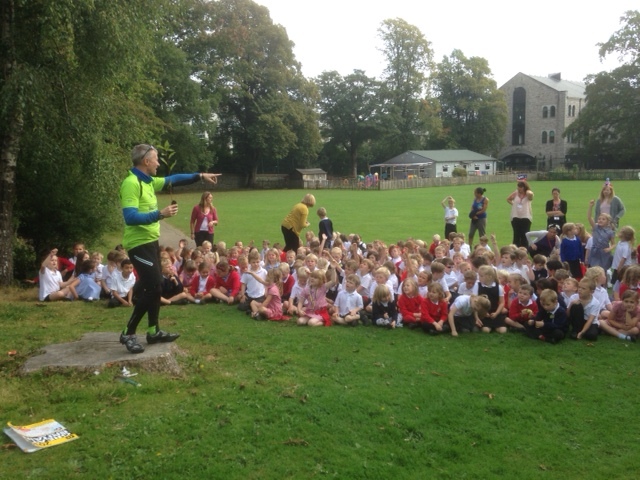 Next day (26th Sept) even though Keiss Primary School was closed on an in-service day a good number of pupils, parents and teachers showed to see the English man and his tree-clad iron horse. With tree planted it was job done: all eleven school from Cornwall to Scotland visited. Just the last 17 miles remained to the tikka tape of John O’Groats. A vicious cross wind meant an angled cycle ride but turning due north resulted into a tailwind that blew the iron horse clear into the Bike Britain finish line. Must confess felt a little emotional having foto taken at the famous post and touched that the couple who obliged with camera gave me a £6.00 donation. Closing thoughts. What does it take to finish a solo unsupported 1,000 plus mile End2End cycle ride. Well, 300,000+ pedal strikes, dogged determination, a shed-load of grit and the desire to take on the chin every hill thrown at you ! The eleven schools were great & the approx switched-on 2,000 kids even better. Personally, after three months of planning, preparation and training I feel very relieved, emotionally tanked-up & just a tad proud ! Many thanks to those along the route who put me up, to Coles Nurseries for the trees and to Robert Pattton & team for organising the Inverness planting.